UPDATE: Gov. 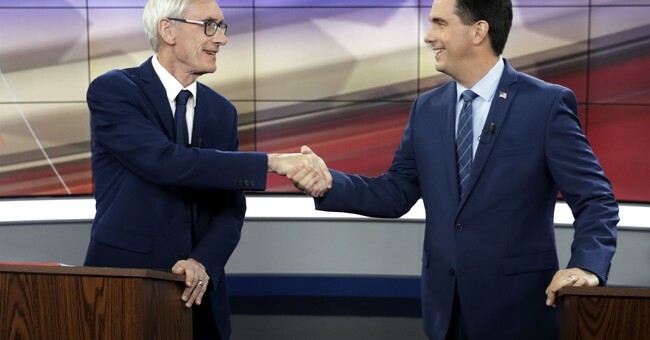 Scott Walker is refusing to concede to Democrat Tony Evers, the projected winner. "We need the official canvass and for military ballots to be counted before any decision can be made," Walker senior adviser Brian Reisinger said in a statement. "Thousands of ballots were damaged and had to be recreated. Until there is a comparison of the original ballots to the recreated ballots, there is no way to judge their validity." Wisconsin Gov. Scott Walker lost his re-election bid against Democrat Tony Evers, the state superintendent of public instruction. It is a new feeling for Walker, who is used to victory in the Badger State. He first won the governorship in 2010. Then, two years later, he became the first governor to survive a recall vote after rolling back labor unions’ collective bargaining rights. He then won re-election in 2014. But, he is finally forced to hand over the keys to the governor’s mansion. Walker also ran for president in the 2016 election but was one of the first candidates to drop out of the race due to low polling. Teachers unions hadn’t forgotten how he tampered with collective bargaining. Many Democrats in the state still “hate him” for it, according to GOP strategist Brandon Scholz. Up until this February, some unions were trying to sue to get the law overturned. So, then, it's no wonder they were eager to unseat him with someone like Evers. The 67-year-old state superintendent is a former teacher and he supports a $15-an-hour minimum wage. While some Wisconsinites and unions are cheering Evers's win, they seem more satisfied by Walker's loss. Scott Walker was a national disgrace.